Hiya. Here is the most recent episode of the show. 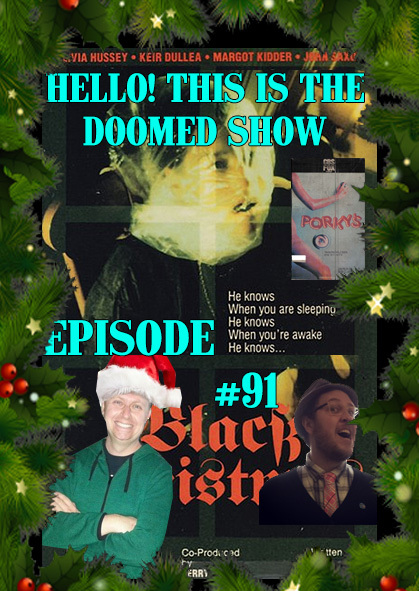 My pal Eric Grubbs and I talk about Black Christmas from 1974 and we throw a bone to the remake (which I love, Eric not so much). There was some technical issues so this episode sounds a little poopy on my end but the convo is solid. This is the last episode of 2015 so enjoy it, my friends. Hey, we released 30 frickin' episodes this year! Wut? Pretty amazing. Listen here! And dig on the archives right here! Get more Eric here and here. You know you wanna!